I picked up a 4 pack of the G2 Mini pens on a whim. The 4-pack was affordably priced and held regular blue, bright blue, red, and purple. The G2 minis perform just like their full sized counterparts- smooth most of the time and best on junky paper. On nice paper (Studio C, Tomoe River) it has a tendency to skip a bit and for the tip to feel rough. I find mini pens of this size to be just a tad too small for longer term writing. They are okay for filling a box or two in my bullet journal and a quick note here or there. Writing more than a page in a pocket notebook puts a great deal of strain on my hand and is tiring. 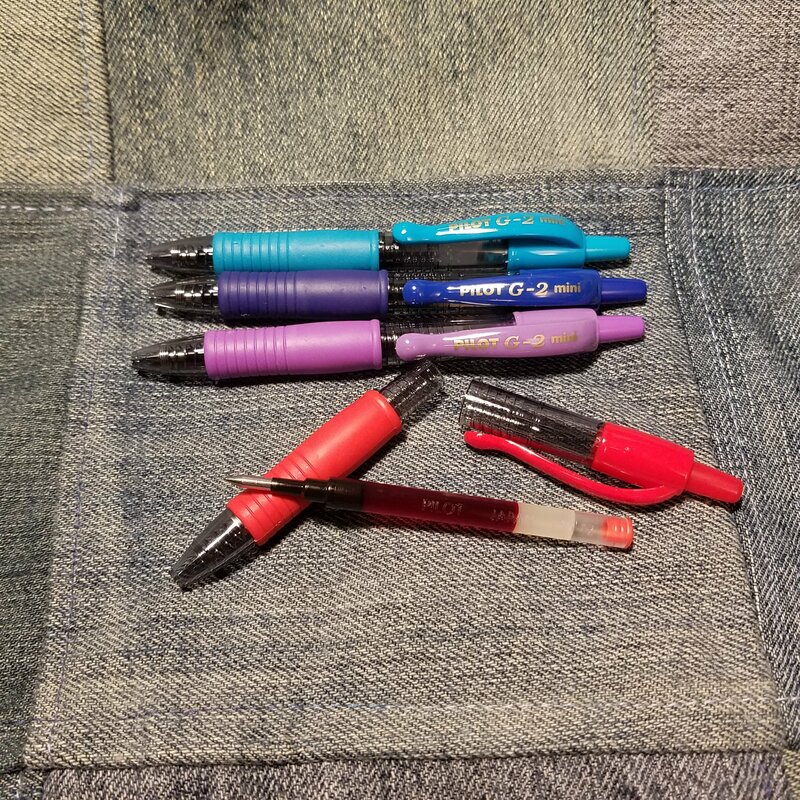 I think these are great pens to toss into a bag for occasional quick notes or for children. I’m using the bright blue and purple to introduce my nephew to better stationery. 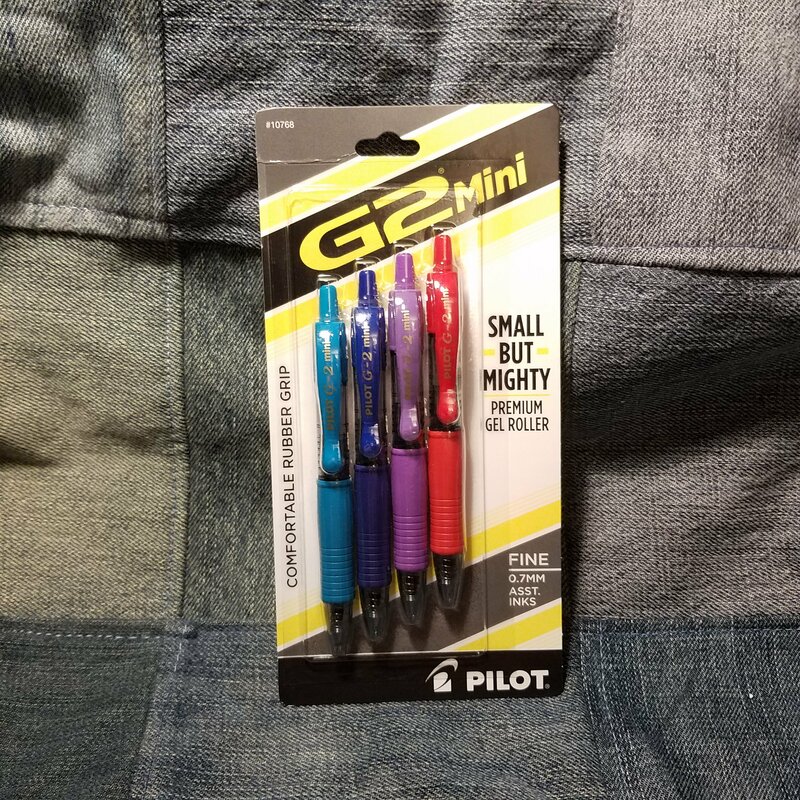 This entry was posted in Review and tagged G2, mini, pilot, pilot g2 on 20181108 by leslie.